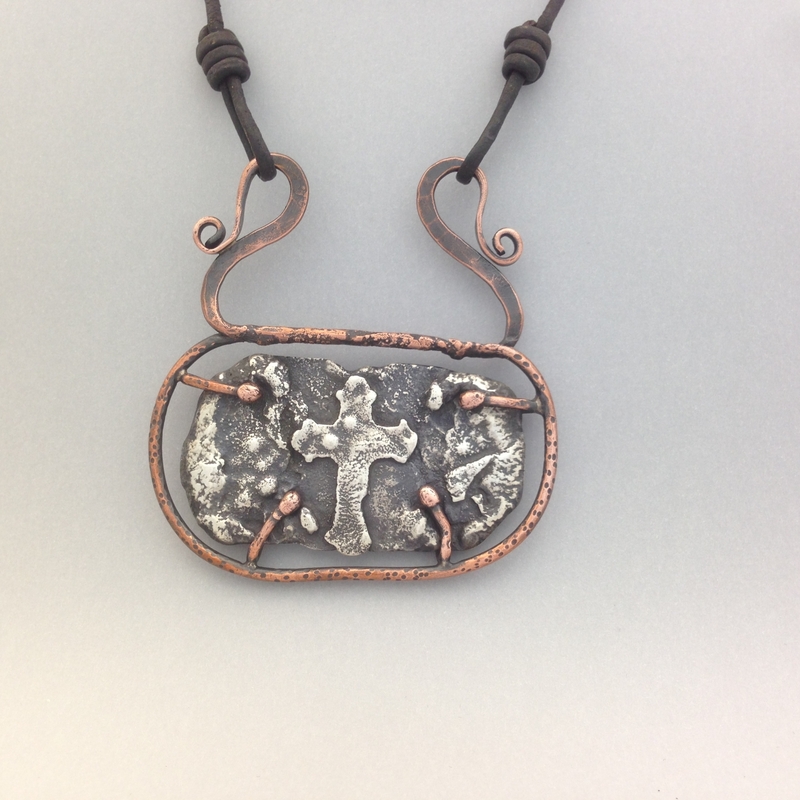 This one of a kind necklace has a center piece made from smaller pieces of silver fused together using a torch. It measures 2" x 1-1/8". It is surrounded by a copper wire cage that has also been torch fused and soldered together. This process does not produce the same results on any two pieced so it is truly a one of a kind piece. 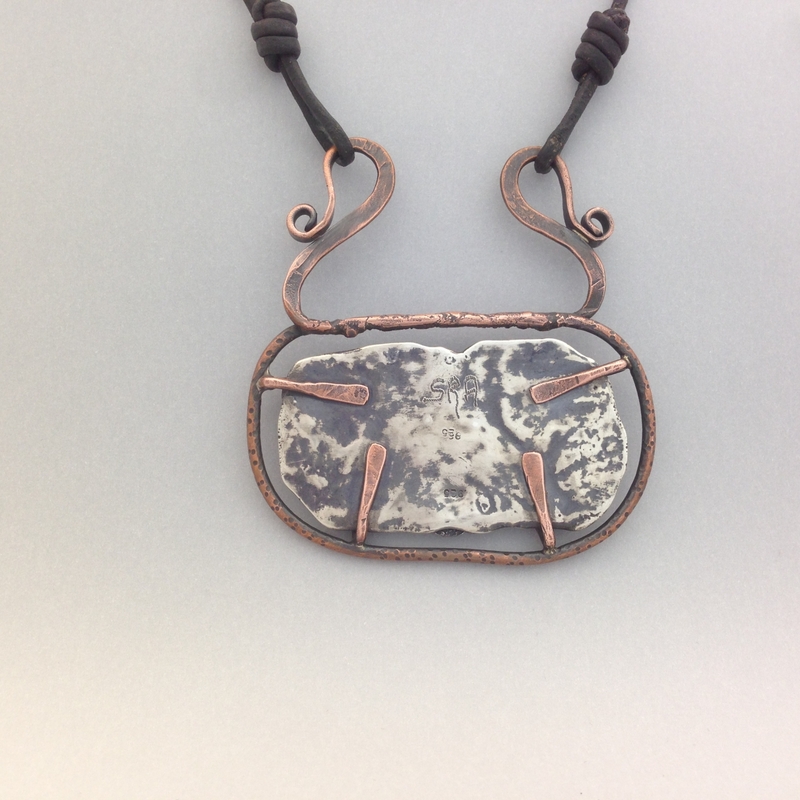 It measures 2-3/8" x 2-1/2" overall and comes on a 24" leather cord and a hand made copper hook clasp. The leather cord can be adjusted using slip knots tied in the cord.